In Durban Street, Cradock, you’ll find KarooBrew in what looks like a typical old Victorian house. But inside, the decor is modern and spacious, a blend of brushed steel, free fast wi-fi and old wooden floors. The atmosphere is permeated by the alluring smell of freshly roasted coffee, the sweet earthiness of hessian sacks, and the distinctly Italian fragrance of pizza in the oven. 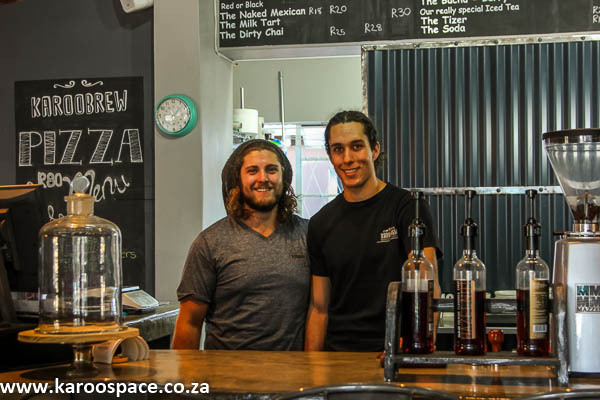 Behind the broad counter are the friendly brothers Dwayne and Kyle de Beer, both trained baristas who speak fluent coffee. 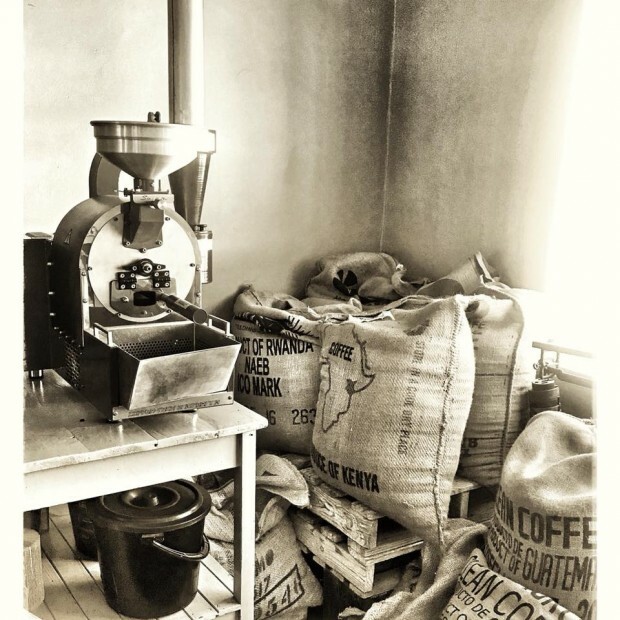 This is where you’ll go for the best espresso, cortado, cappuccino, americano or latte in Cradock. 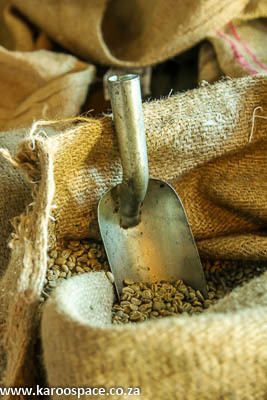 You could also just pop in for freshly roasted coffee beans, sourced from Brazil, Kenya, Colombia, Guatamala and Costa Rica. Try one of their blends or single source. The latter are a mix of two blending profiles to coax out maximum flavour. The coffee is Solar Roasted, using state of the art, environmentally-friendly technology with infrared radiation in revolving perforated drums. It results in beautiful aroma and flavour, while using only one unit of electricity per roast. But it’s not only about the coffee. 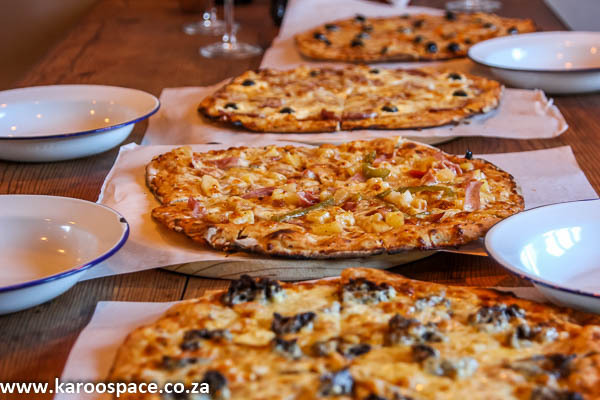 Throughout the day, there are five kinds of thin-crust pizzas available at between R80 and R120 each, two kinds of focaccias (R40 each), a garden salad with different toppings or a simple vegetarian pasta. There are also great soft drinks – milkshakes and their signature Buchu Berry iced tea. 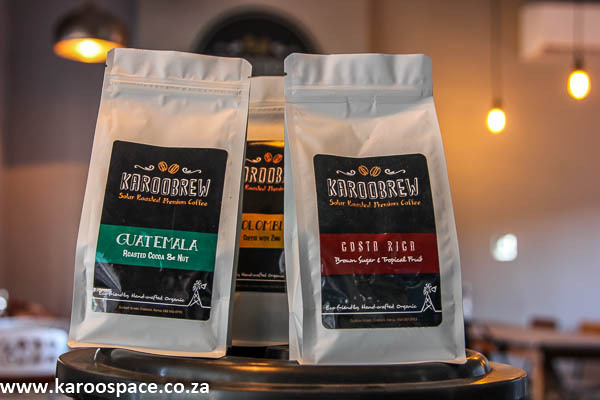 KarooBrew is open Monday to Friday between 11am and 5.30pm. On Wednesday and Friday nights it stays open until 10pm, and there is sometimes live music. Watch KarooBrew’s Facebook page for special Friday night events. They are licenced. This is a great venue if you’d like to book for a special function. Book for coffee tasting from January 2018 onwards. 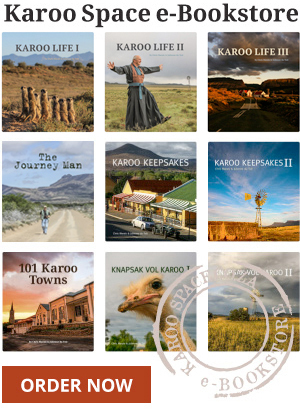 Find KarooBrew at 20 Durban Street in Cradock, on Facebook (@KarooBrew20) or Instagram (karoo_brew). Or call them on 064 087 9853.